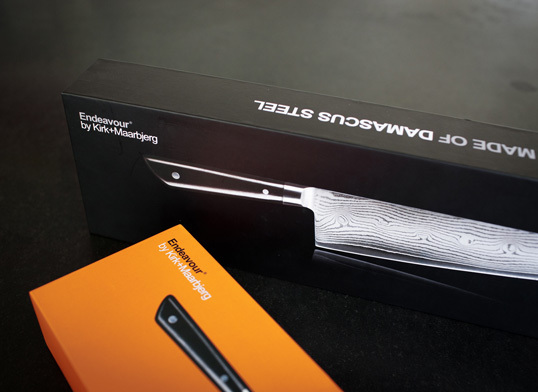 “We are two chefs (Mikkel Maarbjerg and Nikolaj Kirk) who since 2007 have worked on our own series of knives, called Endeavour. Together we run Kirk+Maarbjerg, which is a Scandinavian company, based in Copenhagen. 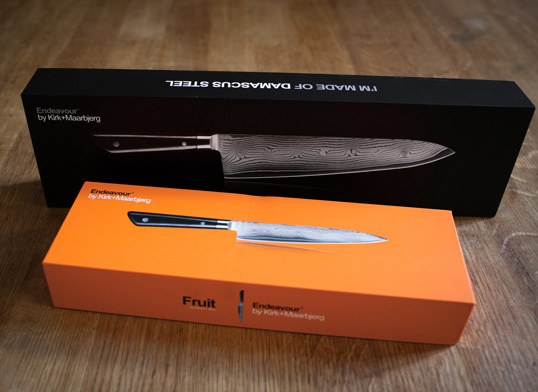 Today, the Endeavour knives are sold in select stores in Denmark, England, Finland, Germany and the United States. The expression in Endeavour series is sought to be young, urban and funky in a minimalistic fashion – simply because it appeals to us as individuals. The basis for the design is found in the mixture of the strict expression and the more flamboyant style that we have experienced in our chefs-world in the two opposites of the Michelin- and street-kitchen. Endeavour is exclusively our design. 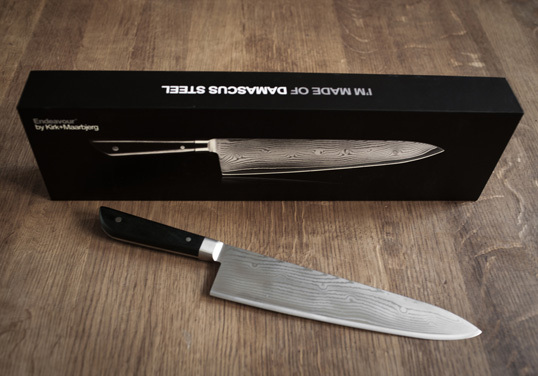 Our experience over many years in the kitchen and our approach to aesthetics has shaped both the knife-series, but also the packaging. 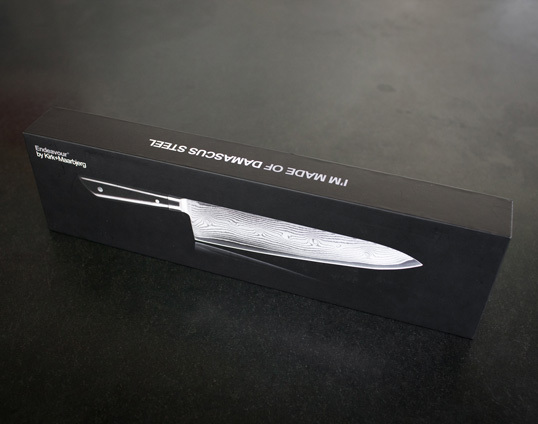 The basic idea behind the boxes is to convey the feeling of an experience when un-packing a new Endeavour knife. The hope is that one is almost starving for the content, even before you get the box opened, just as we ourselves know it from some electronic gadgets.